The following nurseries are sources of native plants and seeds. Their plants are not collected from the wild. Some also sell non-natives, so buyers need to specifically request native species. Some are open for retail only on certain days and/or only spring through fall. Therefore, please contact them before scheduling a visit or check their websites for current information. In addition, the Botanical Gardens at Asheville sponsors a plant sale twice a year (spring and fall). Several native plant vendors sell plants at these sales and it’s a good place to get lots of good advice about plants appropriate for your setting. Click here for printable list. They have a wide selection of native shrubs and are increasing their selection of native perennials. This is a family-owned business since 1892. It’s a bit of a drive, but well worth it. They have extensive greenhouses with sun and shade perennials, including ferns. Contact owner Pat Sommers to visit her nursery in Weaverville. She grows the straight wild species of perennials and ferns. In other words, she does not grow genetically modified varieties. She is also a landscaper. They offer both native and non-native plants, as well as varieties of native plants. They are the only nursery in the area to have plants from the American Beauties collection, a program associated with the National Wildlife Federation. Reems Creek Nursery has served Weaverville and the Western NC community since 1980. They offer a premium selection of native trees, shrubs, perennials and annuals that are chosen for beauty, versatility and suitability to our mountain region. 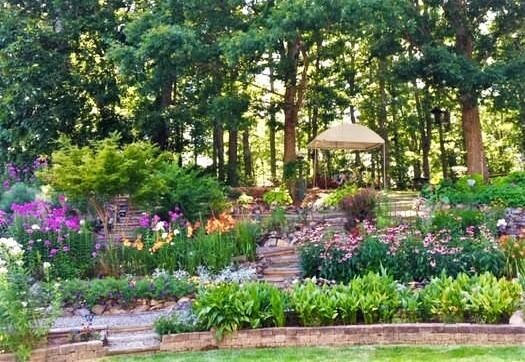 Other specialty areas include: roses, fruit trees, shade perennials, flower and vegetable bedding plants, ground covers, herbs, house plants, organic gardening supplies, and unique gifts for all ages. Plant specialists are available to assist with selections. They email a weekly newsletter and offer free educational programs for the community. Thyme in the Garden is a family-run gift and garden shop, in Woodfin, specializing in container gardening. They stock seasonally relevant selections of perennials, annuals, and herbs along with their year-round offerings of tropical indoor plants. They seek to include as many locally grown, native and cultivars of natives as possible during the spring and autumn planting seasons.